I made these this morning and was very pleased with how they came out. Corn tortillas (woooo GF!) 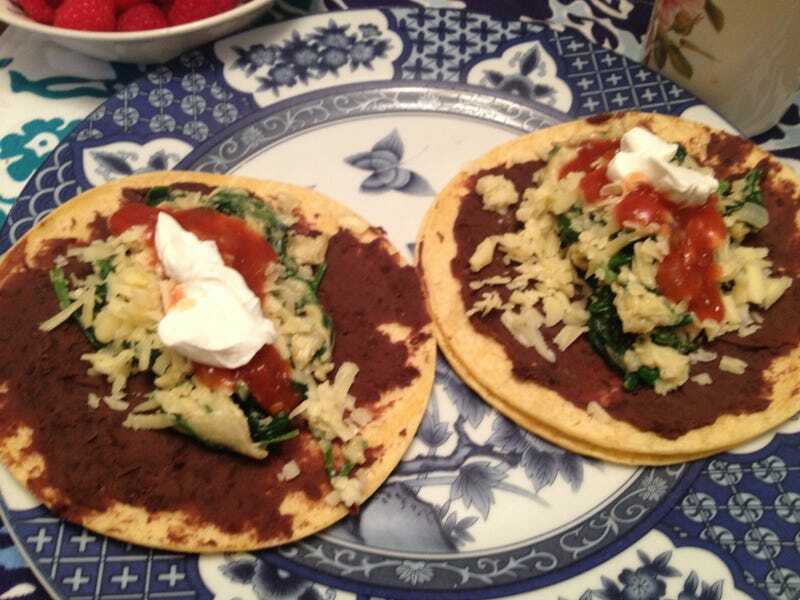 with a thin layer of refried black beans, sautéed spinach with onion and garlic, sharp white cheddar, scrambled eggs, habanero salsa, and a petite dab of sour cream. My version of the food guide pyramid basically looks like a giant taco.